At Bellfield Primary School we follow the requirements of The English National Currriculum, which can be found below. 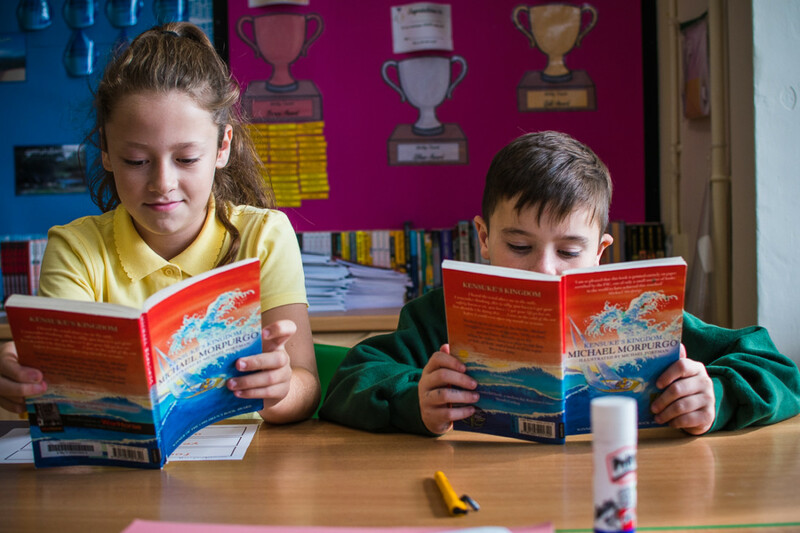 Throughout every curriculum area there is a strong emphasis on the basic skills of Reading and Writing, which are key drivers throughout our currciulum. Children read in class four times a week as part of guided reading. In addition we request that children read at least three times a week to an adult who signs their reading diary. To promote reading we award a ‘Reading Champions’ trophy every Friday in assembly. Writing at Bellfield follows the ‘Talk for Writing’ approach and is taught daily. All adults and children have received training from a handwriting specialist and the results can be seen all around the school. At Bellfield Primary School we follow the letters and sounds scheme of work and use Jolly phonics with our youngest children. In addition to this we use a range of published reading schemes including Oxford Reading Tree, Rigby star and Bug Club. We also use specialist SEND reading schemes including Jelly and Bean and Bella and Tom.